Percy Webster and his son Malcolm were two of Leverstock Green’s more prominent residents during the first part of the twentieth century. Percy moved to Leverstock Green sometime in 1906 and lived at Sibley’s Orchard, and his son Malcolm purchased The Red Lion Inn, turning it into his private residence, named St. Michael’s End, in 1927. Both father and son were expert horologists and dealers in antiques – not just clocks, although that was their speciality, but also in silver, gold, jewellery and other bijouterie. 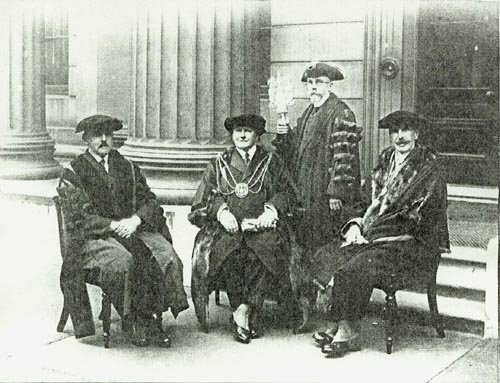 Both men became Masters of the Worshipful Company of Clockmakers: Percy in 1927 and Malcolm in 1948. The first documentary record we have of Percy Webster in Leverstock Green was when he attended the annual Easter vestry of Holy Trinity on 1 April 1907. 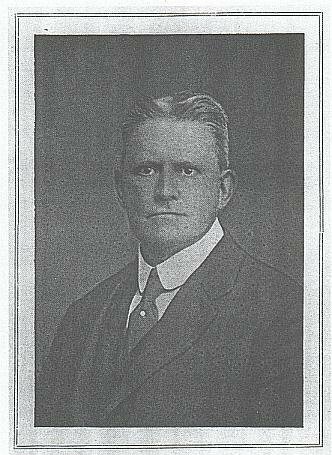 From then until his death in November 1938, his name, and the names of other members of his family, frequently appeared in local press reports concerning Leverstock Green. Both Percy and Malcolm were regular churchgoers and prominent members of the church community. Percy was also a Manager of Levers tock Green School. Local football was one of Percy’s enthusiasms and, a s well as supporting and encouraging the village Football Club, he inaugurated a local football competition for which he donated a cup. The Webster Cup is still played for and presented today. Percy was one of the committee dedicated to raising money for, and ultimately seeing the opening of, the original Leverstock Green Parish Room. The Websters even opened their gardens at Sibley’s Orchard for a garden party to raise funds for the proposed hall. Having acquired a site for the Parish Room, Percy was foremost in giving money to the cause. His contributions totalled £70, worth about £2,500 today. 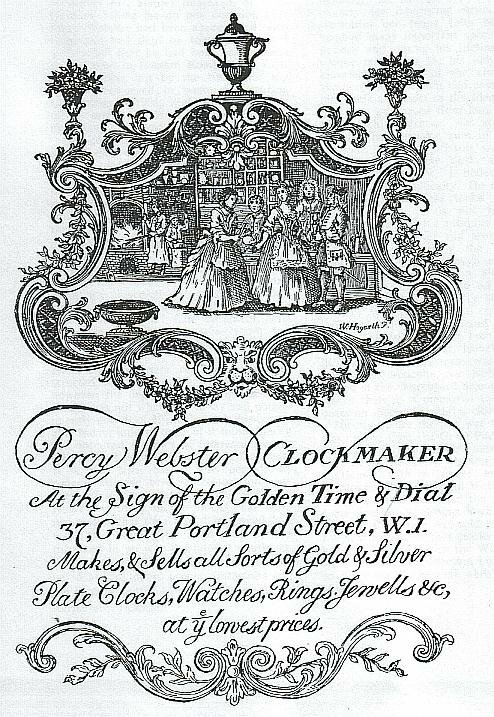 In 1913, Malcolm Webster, together with Herbert Cescinsky, published what was to be considered by many to be the ‘bible’ for Horologists: English Domestic Clocks. Until about 1970 this was considered THE definitive work on the subject, but with the insight of modern research, some of the statements are now considered unreliable. It was, until recently, supposed that this crucifix had been made in the late 17th century, from ebony and silver, as the Centenary booklet of 1949 referred to it. However, recent examination of the crucifix shows the cross to be made of mahogany painted black and the hallmarks on the silver figure of Christ show it to have been made in London in 1881. A silver skull (typical of the 17th century) was originally placed beneath the feet of Christ, but this was regrettably stolen in the 1960s. The Crucifix is not currently in use at Holy Trinity. 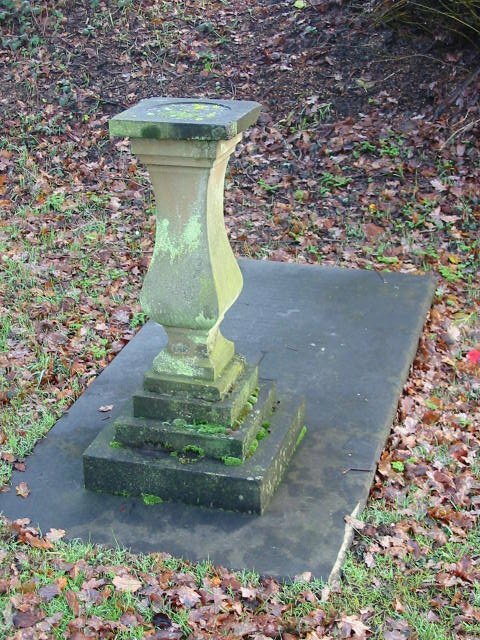 On 16 November 1938, Percy Webster died. As well as the local papers, his obituary was also to be found in The Times and other national newspapers. Percy’s funeral took place within a few days, and was held at Holy Trinity, Leverstock Green, on Saturday 18 November. Percy’s clock collection was kept intact at Leverstock Green until after the death of Malcolm in 1953, when it was ultimately sent to Sotheby’s for auction. The collection was so comprehensive that it was split into two parts and sold on two separate days. A complete write-up of the auctions was given by James Oakes in Antiquarian Horology in June 1954 and December 1954 respectively. From these descriptions can be seen the importance of the collection to the world of horology, as well as indicating a measure of the Websters’ standing and wealth. The final sum realised from the sale reached over £31,000 – a sum which in today’s world would have the purchasing power of nearly half a million pounds. In 1938, after the death of his father, Malcolm Webster Junior, (who followed his father in so many things), was subsequently elected as a trustee of the Leverstock Green Parish Room Trust. Malcolm and his sister Isobel, who still lived at Sibley’s Orchard, continued to run the business in London. When Holy Trinity was celebrating its centenary in 1949, they commissioned a silver-gilt chalice, based on the design of a 15th century chalice to be found at Ampleforth Abbey in Yorkshire. This chalice is one of the two still used every week for Communion. In 1953, following a long illness, Malcolm was to die. He was buried with his father in Leverstock Green Churchyard. My middle son got this for his brithday this summer. He’s not used to reading books quite that big, so he’s been reading it off and on since then. I think he likes it so far but I’m not sure when he last picked it up.